If you win, you go. I returned to Target and Walmart for my annual price comparison. The marketing for these two giants is starkly different: Walmart advertises themselves as the low price headquarters, and Target markets themselves as a fun place. I would take joy in seeing Walmart lose a low-price comparision, but I hope you trust me to conduct a fair test. As in past years, I picked a batch of items before I stepped into either store. For 2015 I shopped for Armor All Protectant spray, Starbucks Coffee, Frisbee, Sandwich Bags with zipper, Plastic Forks, Milk, Men's watch, Bud Light, hairbrush, dress socks, aspirin bottle, cheap frame, breadcrumbs, cheap pillow, Disney bandaids, pitcher, M&Ms, Legos, Mayo, Best Foods, chocolate chips, cheap bottled water, and Magnum condoms. For the nine brand name items, that particular brand was required, but for other items, such as aspirin and a hairbrush, my goal was to find the lowest prices version of those items, regardless of brand. For grocery items, in this test Coffee, Milk, beer, breadcrumbs, M&Ms, Mayo, chocolate chips and water, Walmart's price was almost always lower, and conspicuously 2 cents lower than the corresponding item at Target. 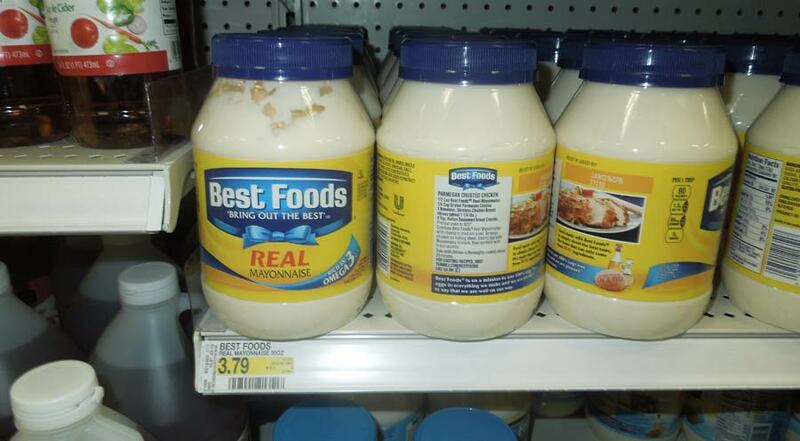 Only the Panko breadcrumbs and Best Foods mayo were priced lower at Target. 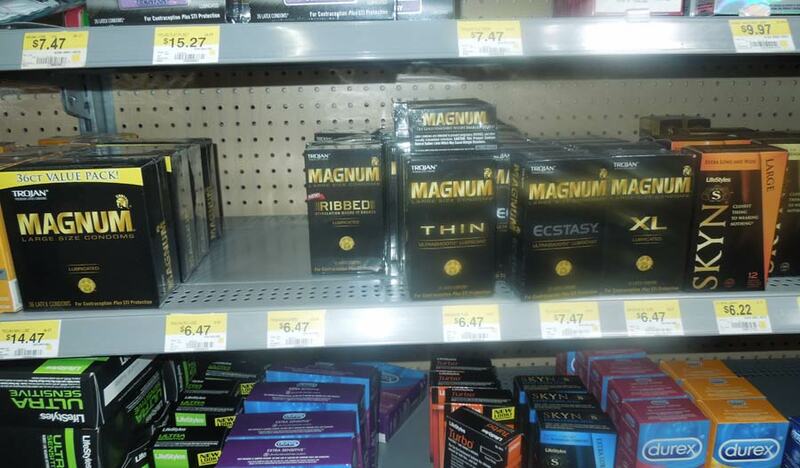 The Armor All, the Legos, the Bandaids and the condoms were all priced 2¢ lower at Walmart. The bottle of aspirin was 1¢ cheaper at Walmart. 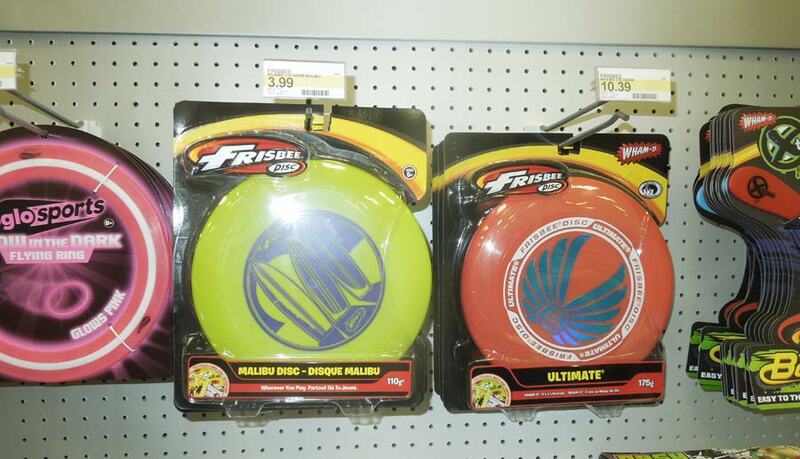 The third group of items were things that Walmart had a cheaper version of, some verging on a Dollar Store version. These versions were significantly cheaper: The cheapest frame at Walmart was $2 less than the cheapest frame at Target. 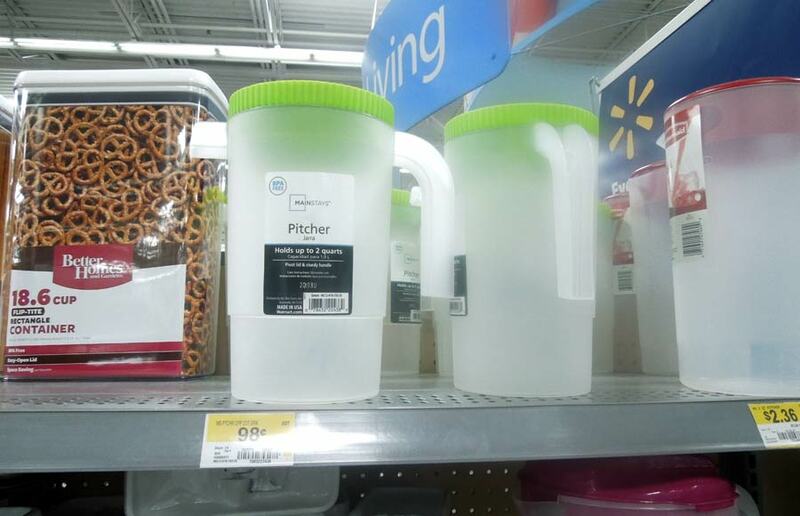 The cheapest pillow was $1.10 less at Walmart, as was the cheapest water pitcher. Walmart's cheapest pair of dress socks was $3.38, which was 61¢ cheaper that the cheapest pair at Target. 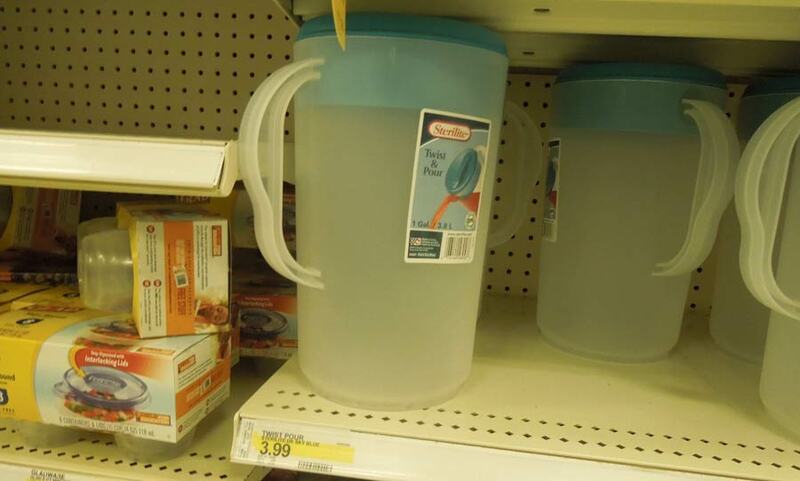 The cheapest 24-pack of bottled water was $2.48, 71¢ cheaper than the cheapest water at Target. 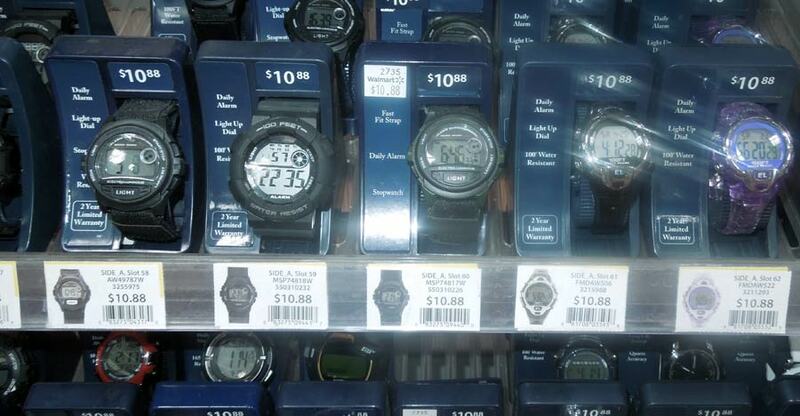 Walmart had a men's wristwatch for $10.88. Target's cheapest was $14.99. 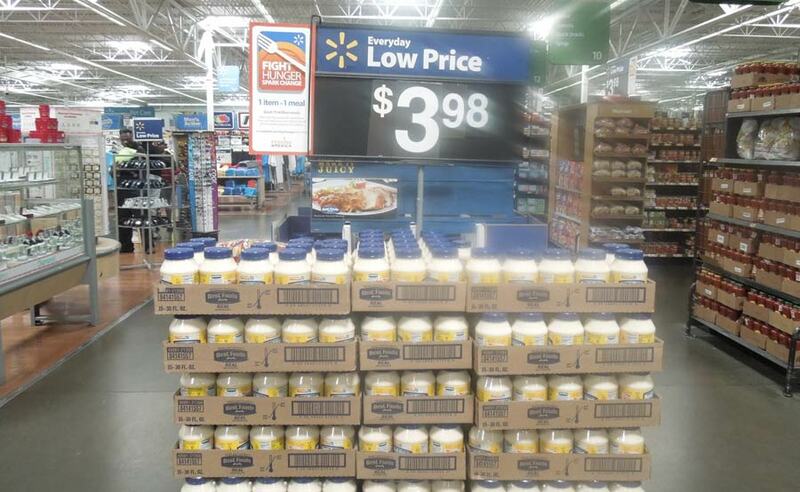 Where Walmart made its best showing was in two particular brand name items. Starbucks coffee? 51 cents cheaper at Walmart. Nestle chocolate chips? 31¢ cheaper at Walmart. Target scored three wins: They had Panko breadcrumbs for 69¢ cheaper, Best Foods mayo for 19¢ less and had a hairbrush that was 46¢ cheaper. Target also wins on 12 packs of Bud Light. The Target beer was available cold in the refrigerator. 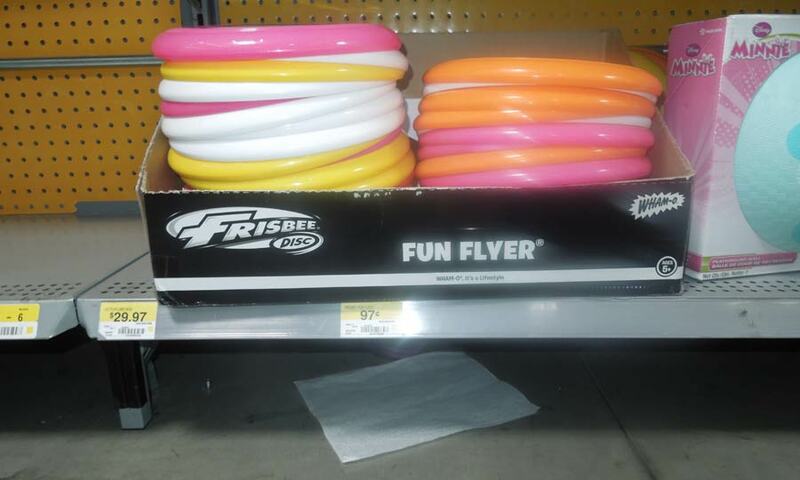 So, in conclusion, Walmart wins the 2015 23-item price comparison. 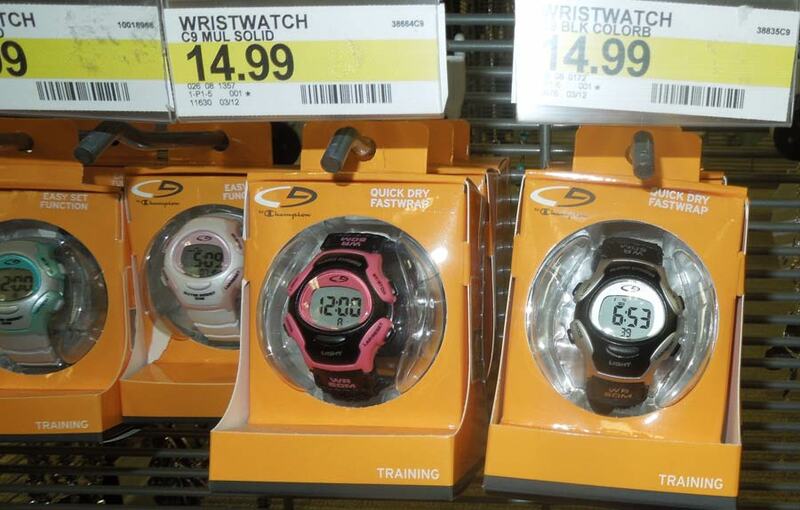 They had many of the items available for lower prices, some at significantly lower prices. Depending on your shopping habits, you may find what you need for less money at Walmart, but based on my experiences in both stores, I'm betting the experience at Walmart will be a lot less fun.